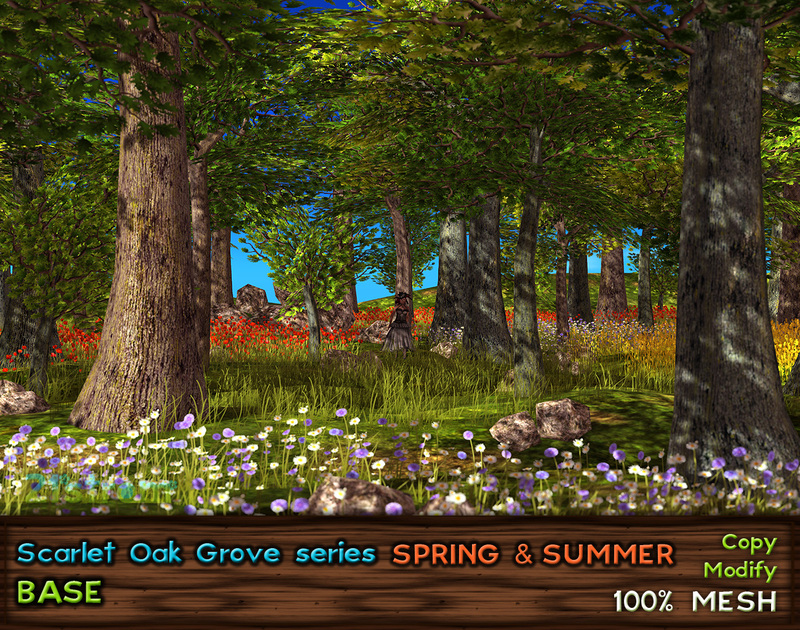 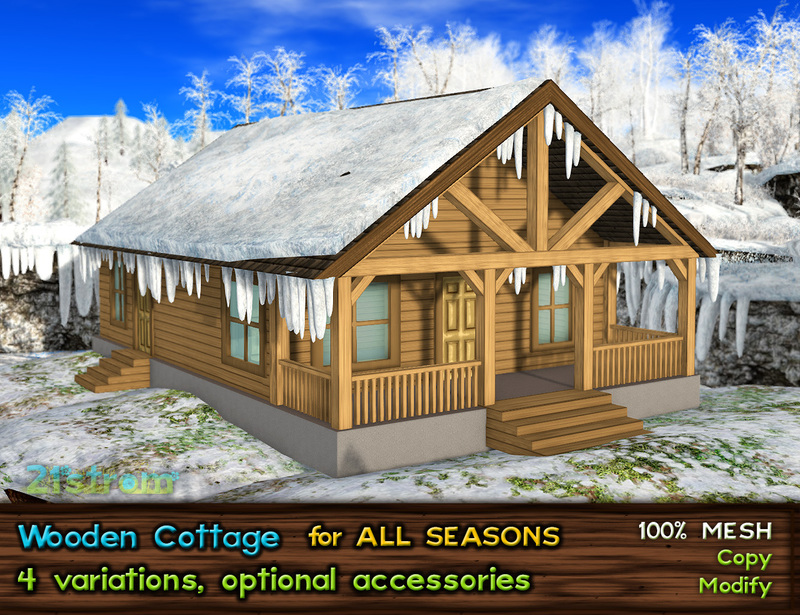 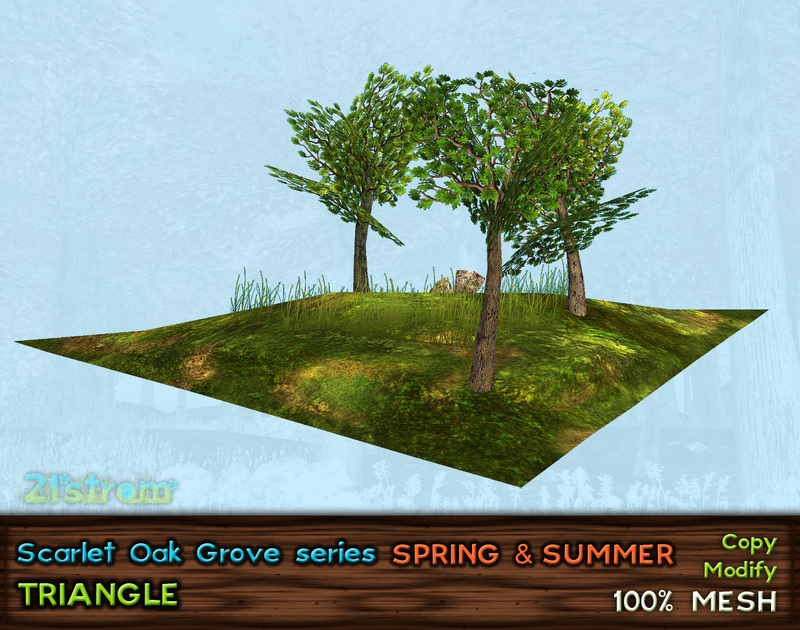 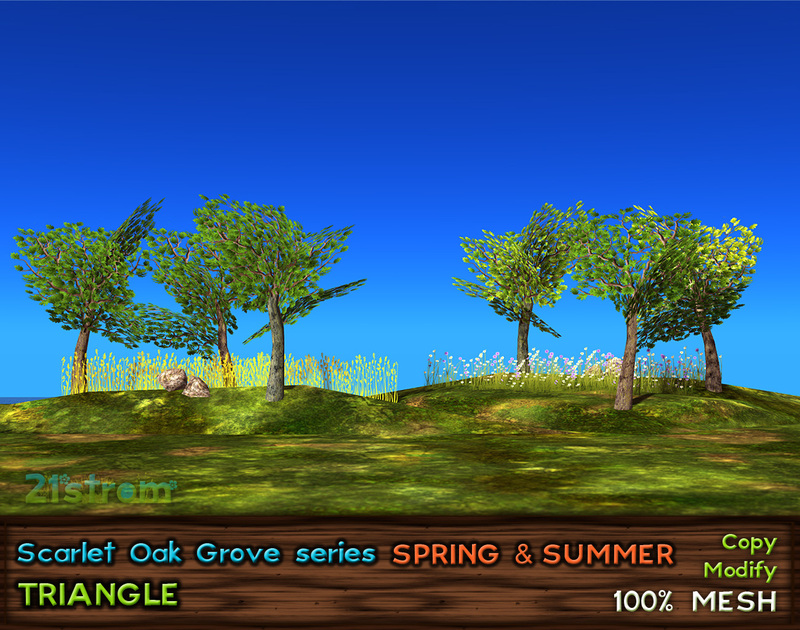 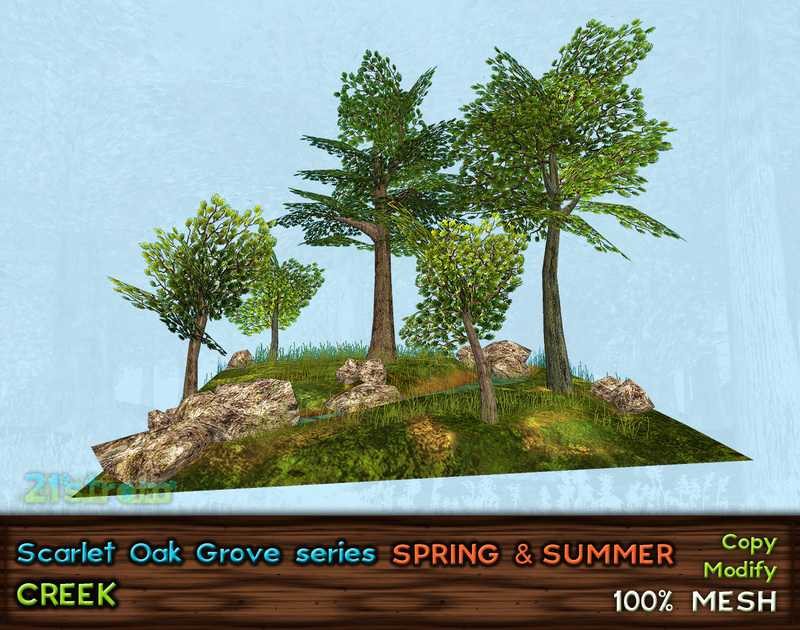 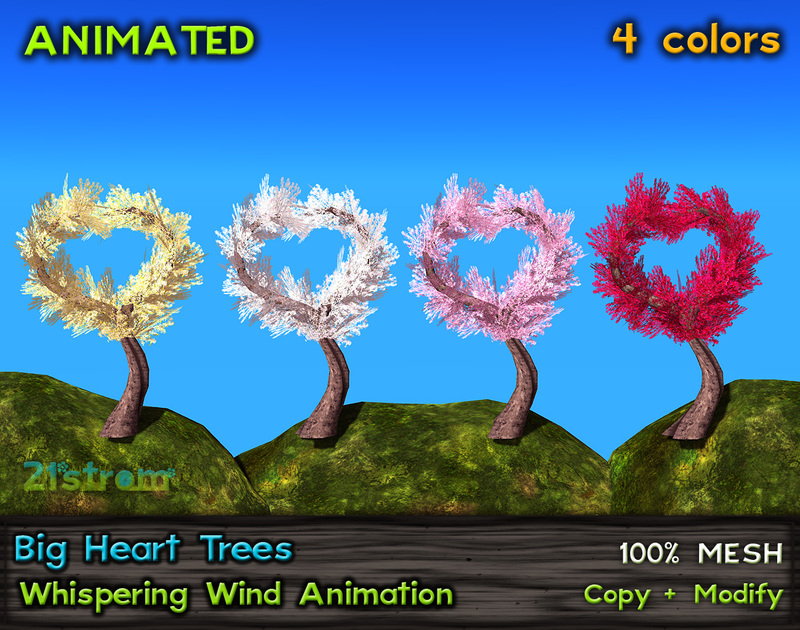 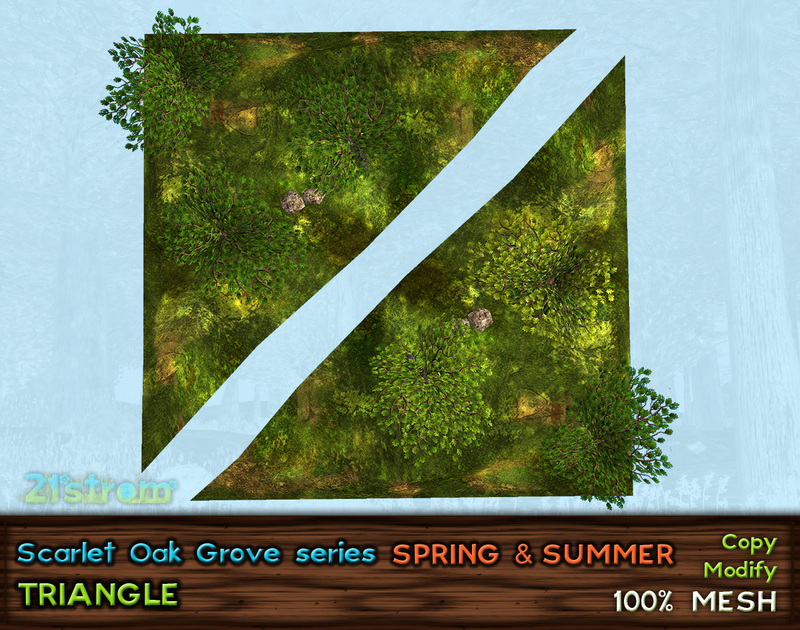 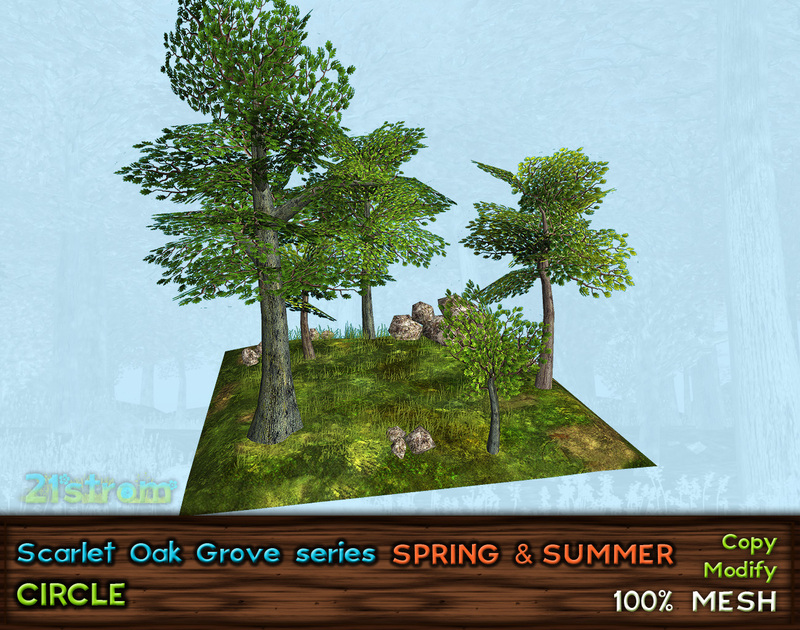 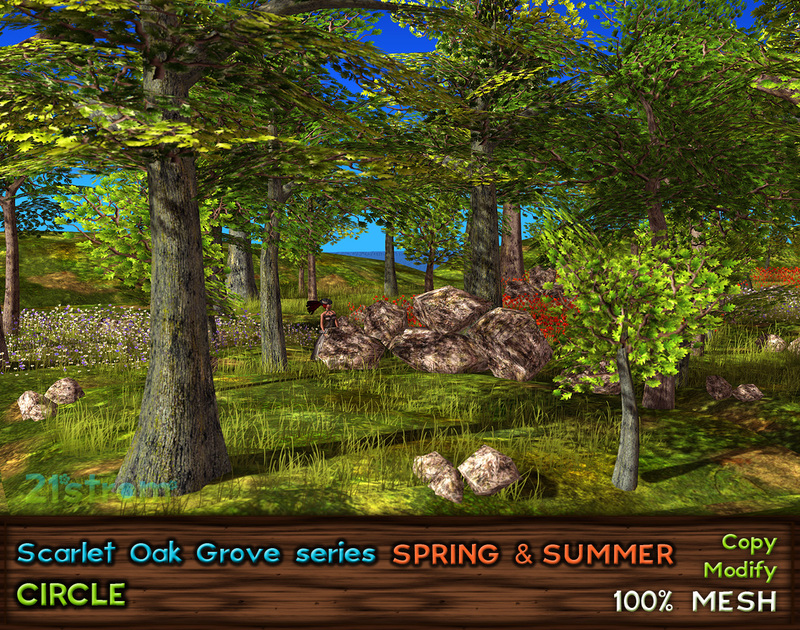 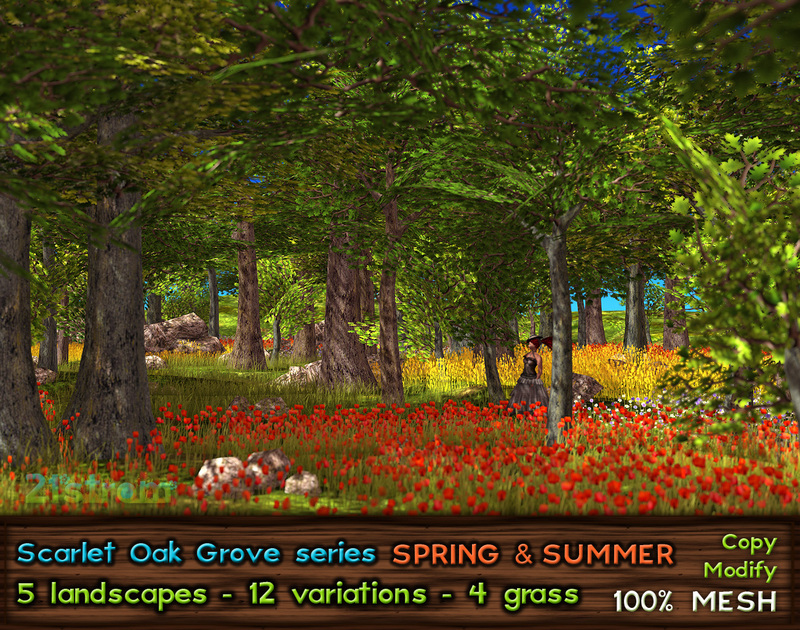 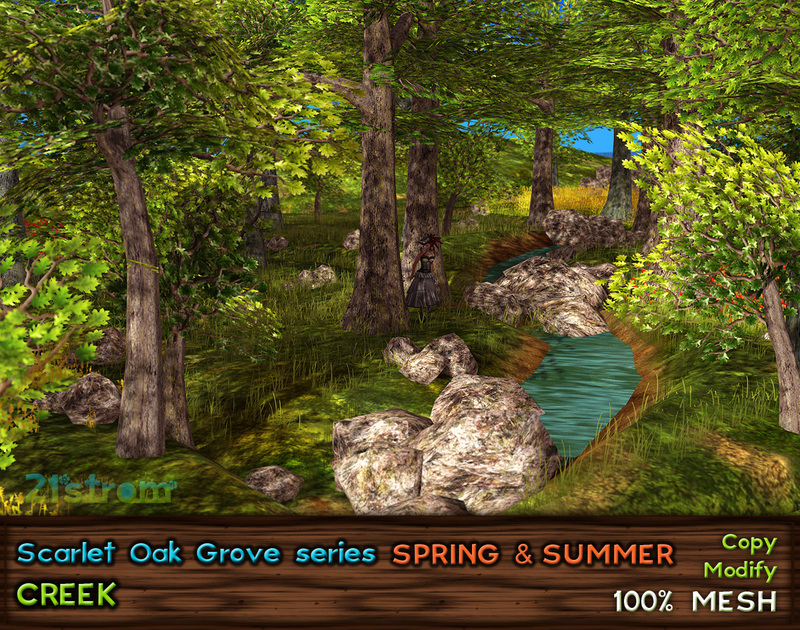 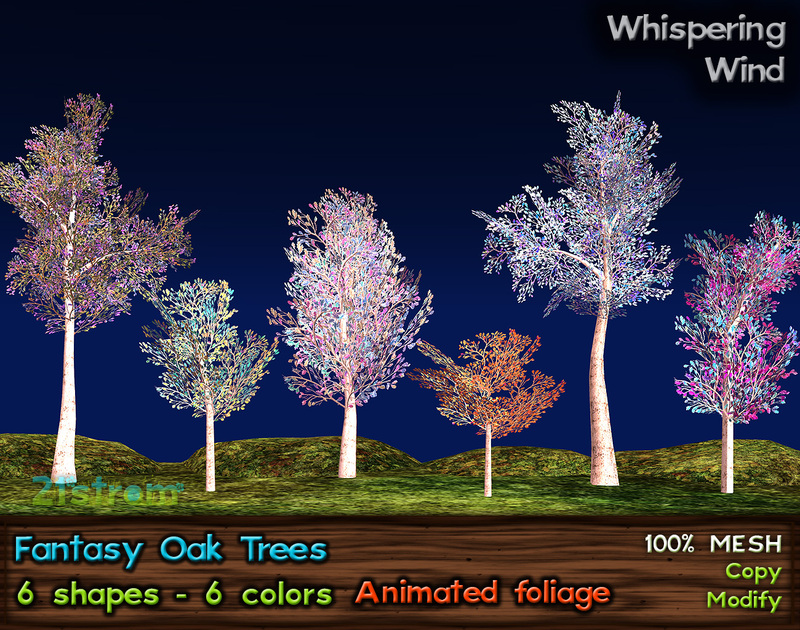 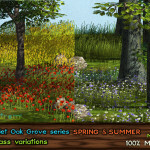 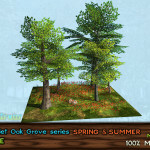 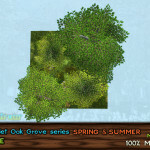 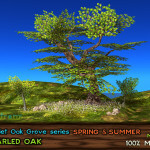 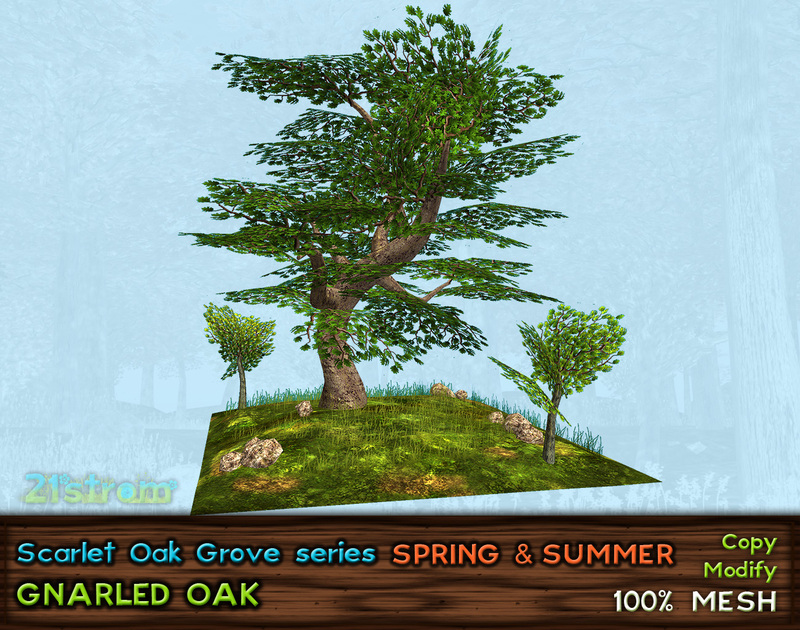 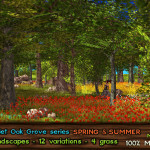 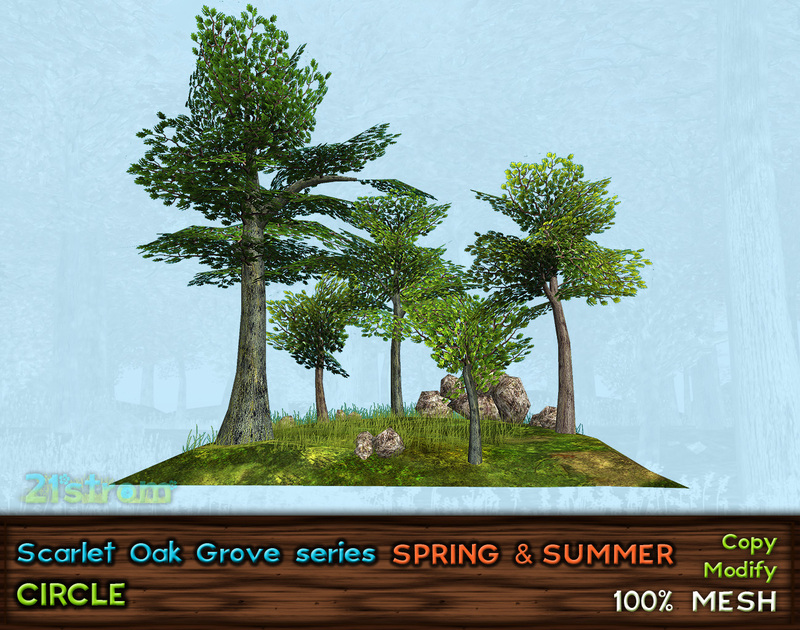 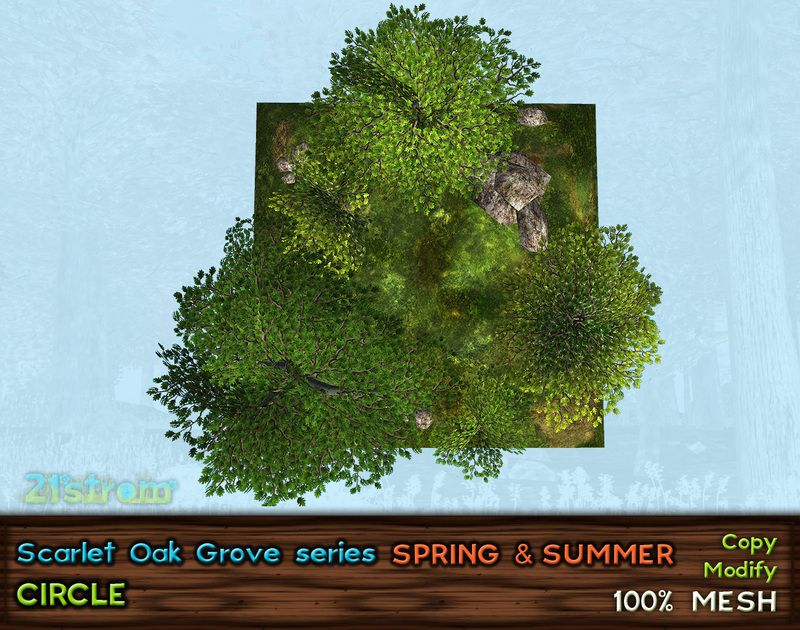 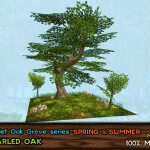 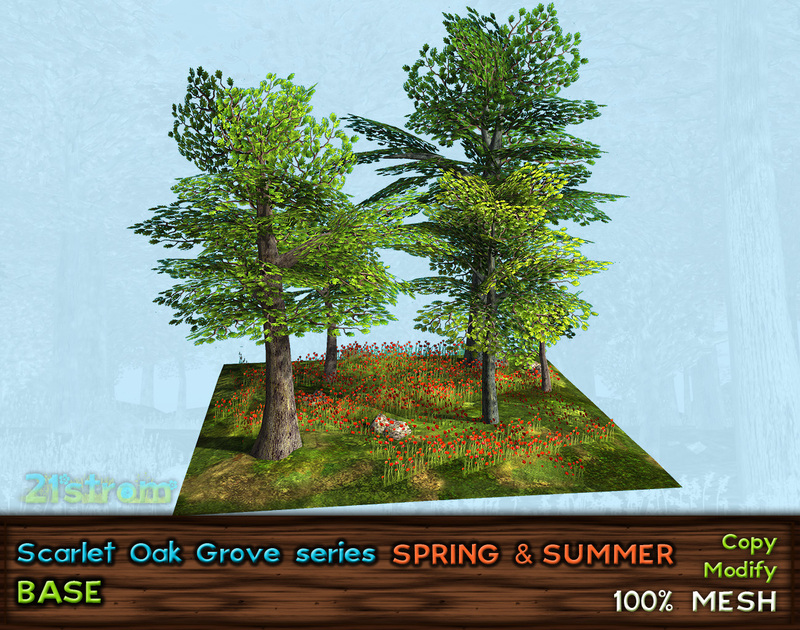 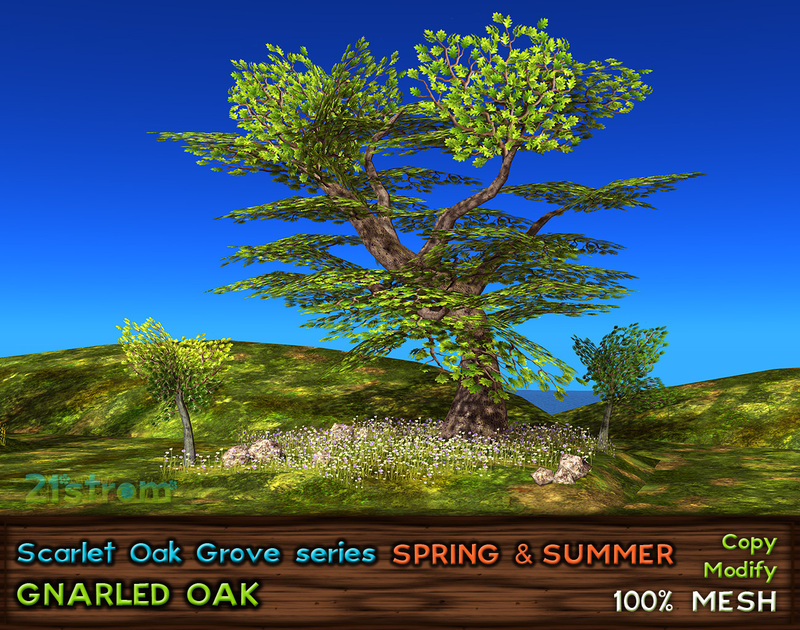 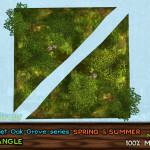 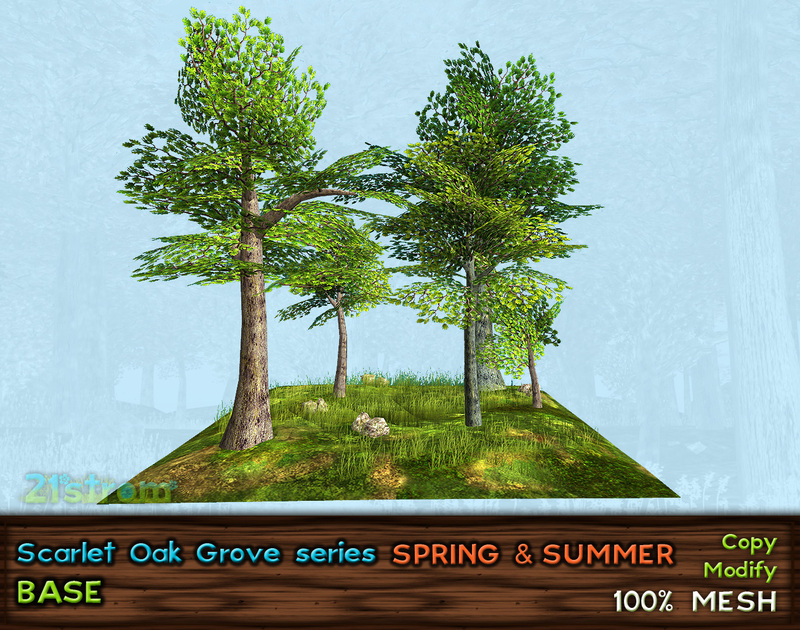 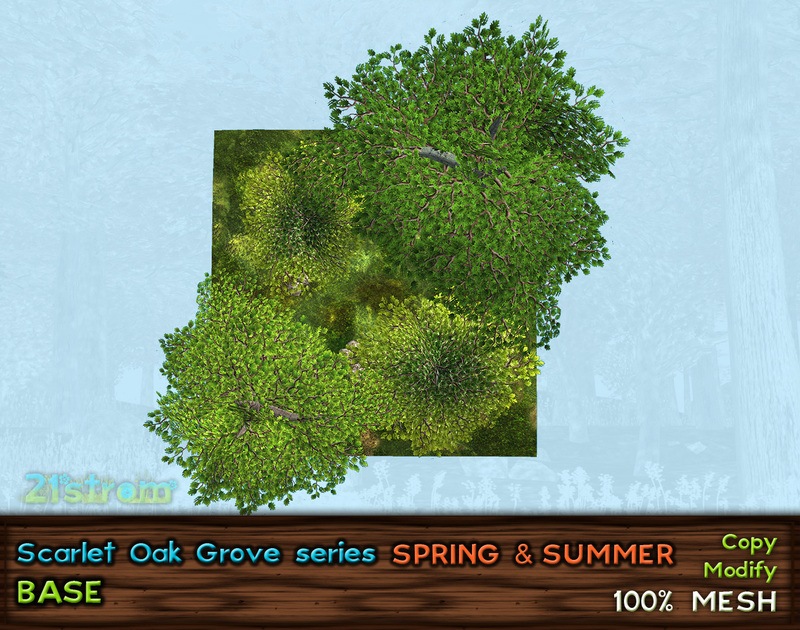 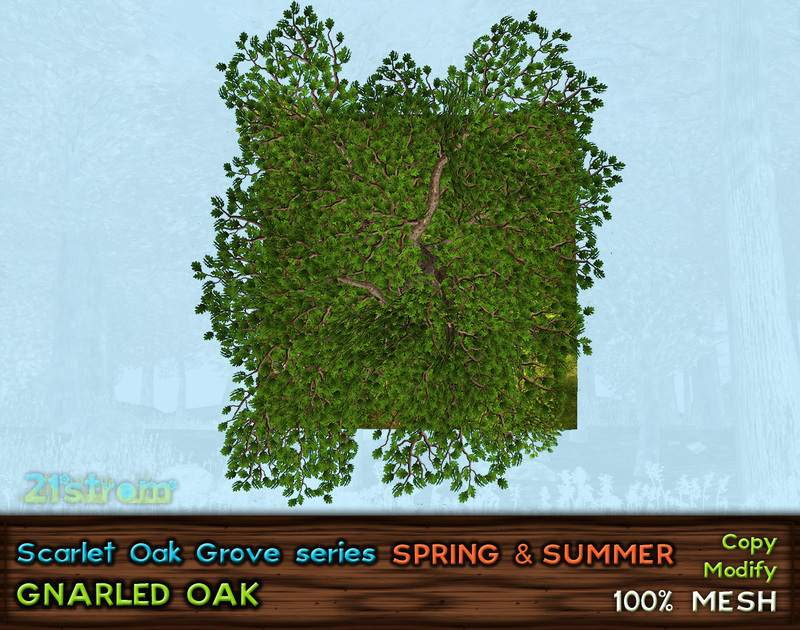 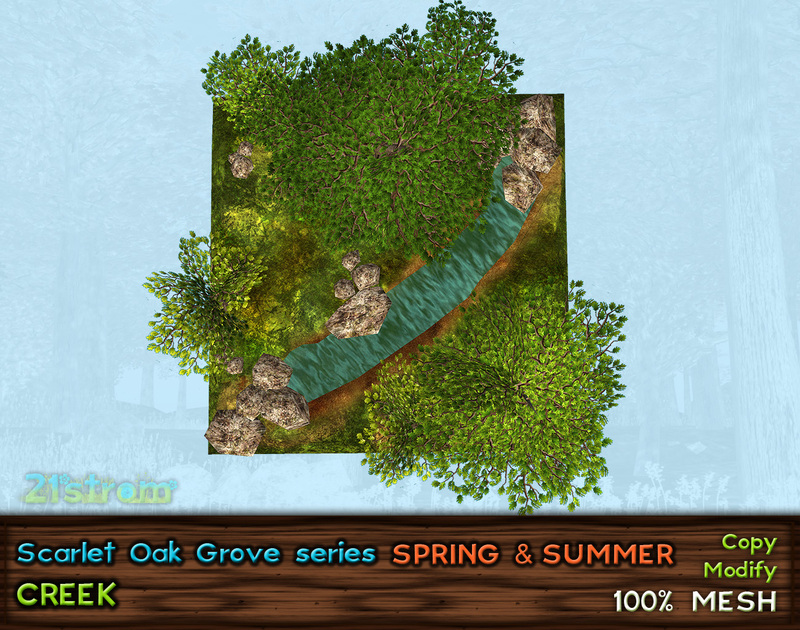 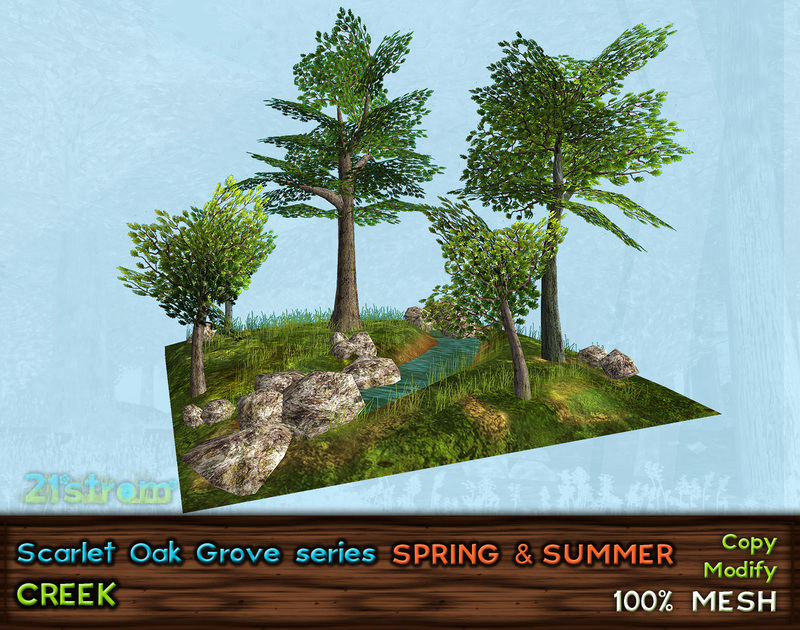 Scarlet Oak Grove landscapes now in spring and summer variation, with 4 grass options moreover. 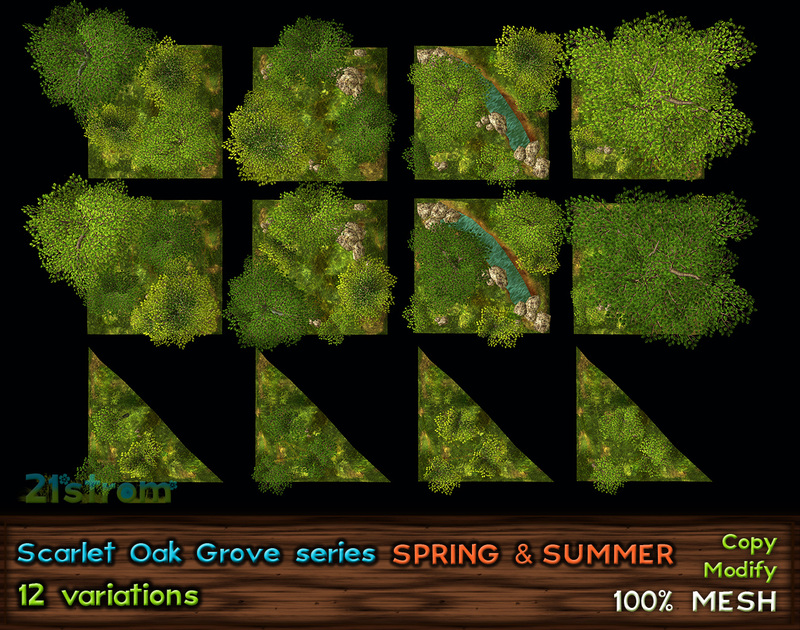 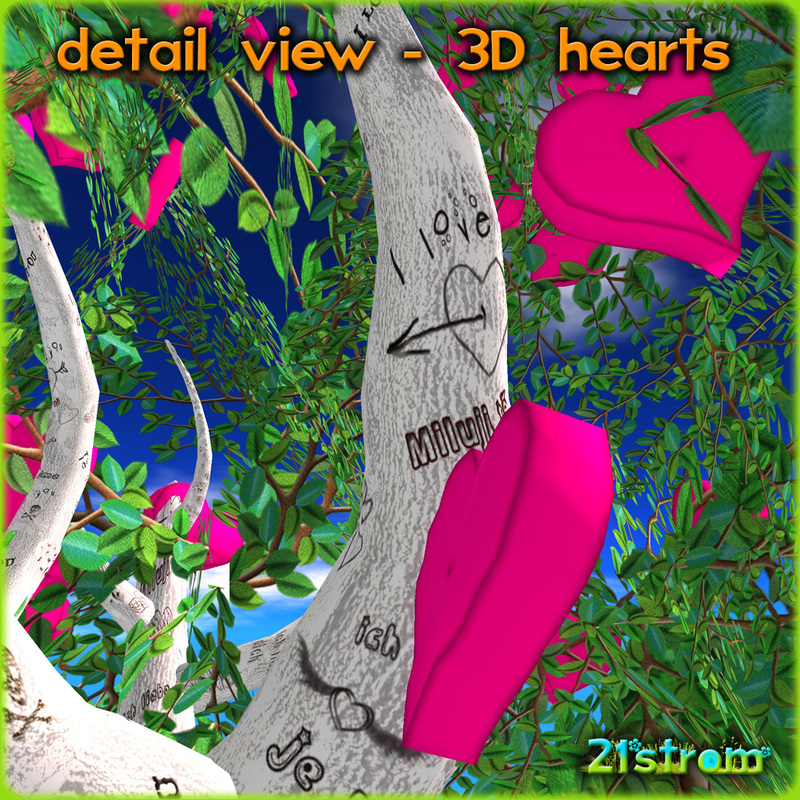 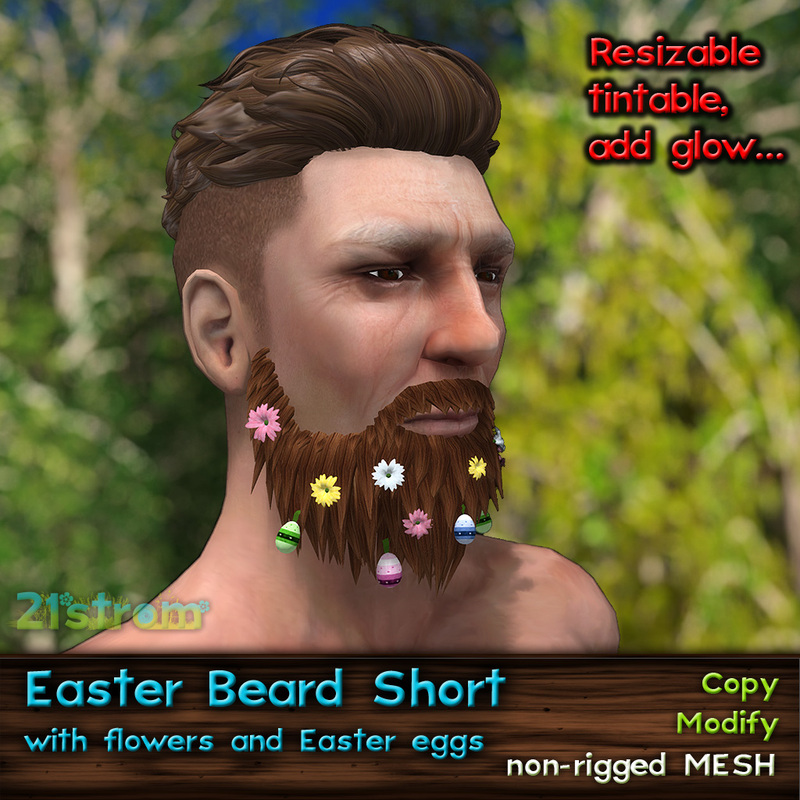 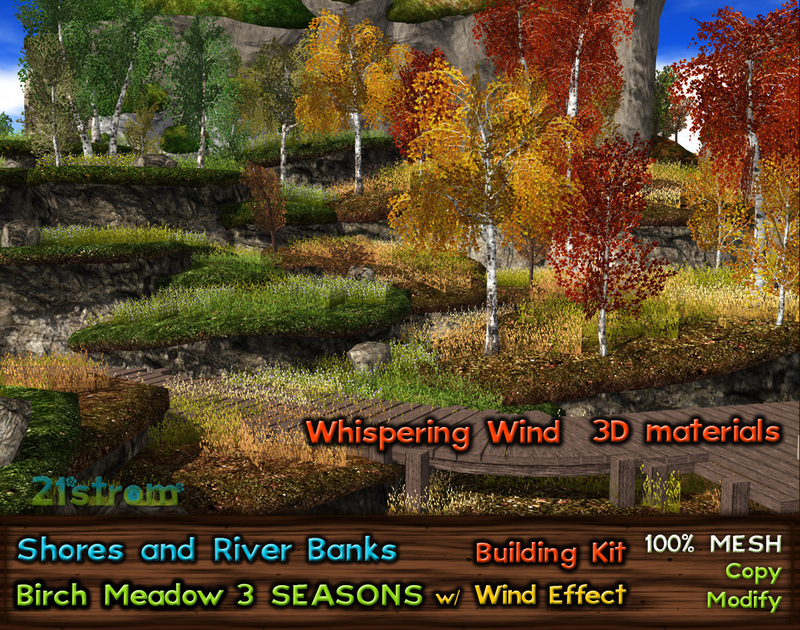 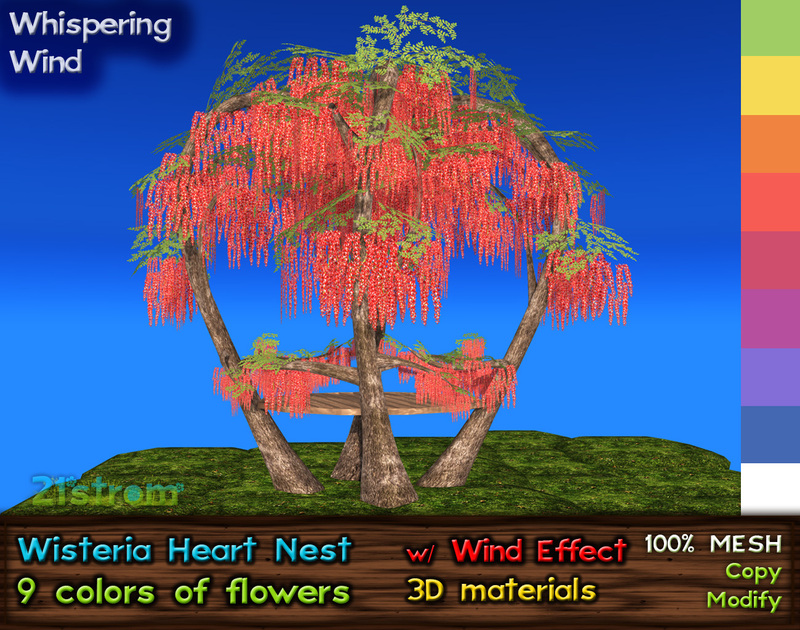 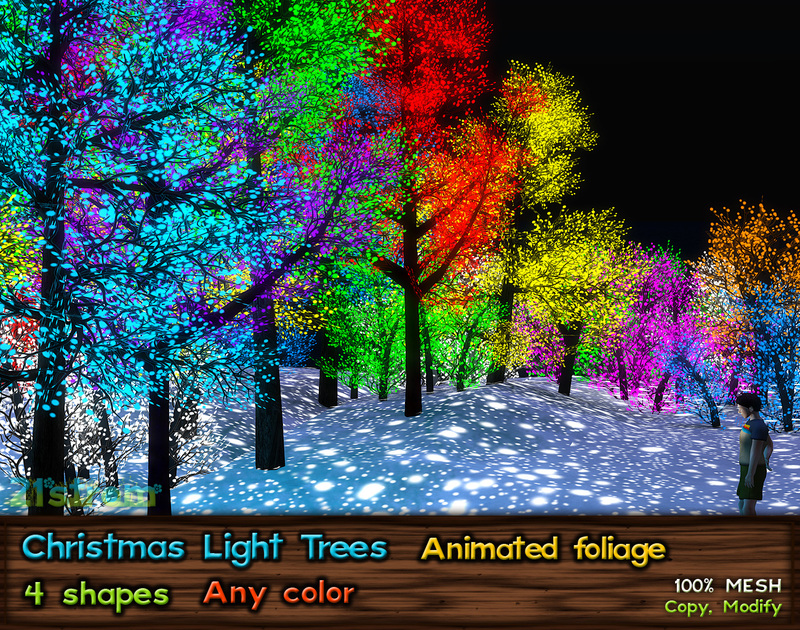 there are 5 mesh landscapes, in 12 variation total. 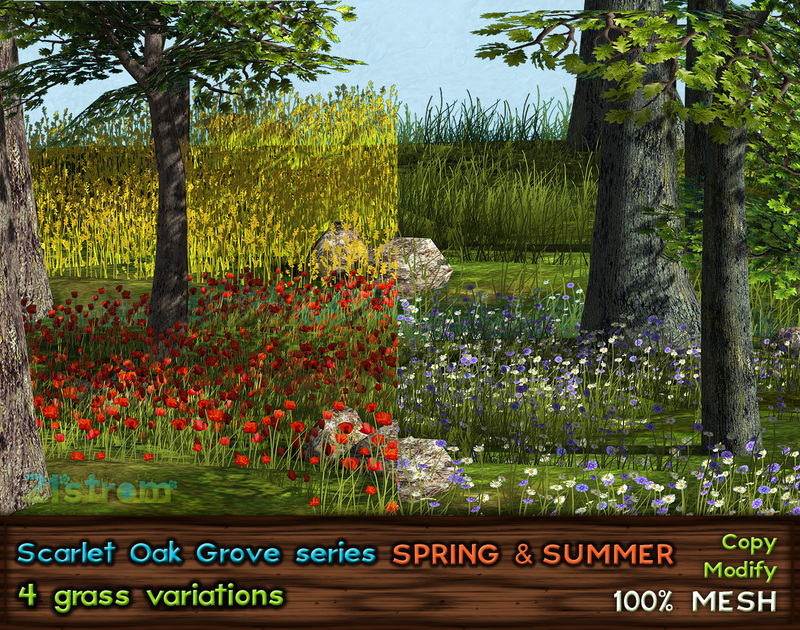 Every landscape contains 4 variations of grass – green grass, yellow grass with spikelets, poppy blossoms and meadow flowers.